There has been a lot of discussion on Overstock in our Comments Section recently. If you are involved (I would not and have no intention of being involved), you should listen to my old acquaintance Marc Cohodes in this podcast. Online retailer has already given up half its recent gains. The Nordstrom family is reportedly close to a deal to take the company private. Here's the hottest story Friday afternoon. These three topics are being talked about with passion by speculators out there. Bitcoin belongs in only one area of your portfolio -- if that. 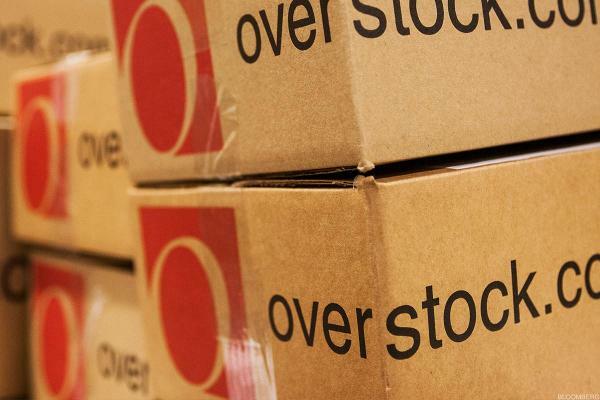 Overstock CEO Patrick Byrne is now focused on shaking up how Wall Street does business. Overstock CEO Patrick Byrne was an early adopter of bitcoin. Here is what he thinks about the crypto's plunge from recent highs. Traders are in a good mood as small caps outperform and the crazy action in the blockchain group continues. Market action saw sharp swings as Fed raised rates.